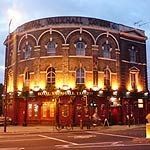 Royal Vauxhall Tavern is a traditional Victorian pub that has a lot to offer. Every night of the week plays host to a fun event, from bingo to cabaret to club nights. What did you think of Royal Vauxhall Tavern? Went to this pub for a celebration on a Sunday afternoon. Friends that came with us asked the DJ for a announcement of the celebration and were told to F*** OFF. This pub seems not to care about its customers any more. Bar Wotever on a Tuesday night is absolutely brilliant. It's very relaxed and welcoming, and there's always something different and interesting going on. I particularly love the way everything on stage is encouraged and appreciated and new talent and ideas are given the chance to shine. I regularly go to Bar Wotever on a Tuesday and it is the friendliest queer space in town. Relaxed atmosphere letting you be whatever you want to be and offering fantastic performance free of charge for your viewing pleasure. There is always a cracking DJ on after the show. A must for all you queers in town. If you're in London and you want somewhere to go, where you can have an entertaining night out and meet some lovely people, I recommend both Bar Wotever on a Tuesday night, and other events, held at The Royal Vauxhall Tavern. Many of the people at Royal Vauxhall Tavern are some of the warmest friendliest people I have met and on my first ever visit, when I knew no-one, I was warmly welcomed by both the Landlord Jason, and the host Ingo. I was then introduced to several other lovely people and had a very relaxed and enjoyable evening there. I love that Royal Vauxhall Tavern and event support and encourage individuals to get out there and try something new, whether it be guesting as a dj (something I've always yearned to try), finding your inner Diva/drag King, or Queen, or just chilling and enjoying whatever delightful surprises the evening brings. I don't live locally (otherwise I'd go more often), but have visited a few times and have always received the same warm and friendly welcome and have made some lovely new friends and if ever asked, I do recommend it as a great night out. Enjoy :) P. S. You should look out for their Queer Fayres, I think held every two months, or so, on a Saturday in the day. I always manage to find something unique here while having a lovely time chatting with everyone. When I was there last time, I got my hair cut on stage by Open Barbers (klara cut my hair and Grey cut my friend's hair and we were both very happy with the results), had some vegan and veggie food (try the cheesecake), some fab Butch Jam, Markaroons and a psychedelic card I wish I'd bought more! Hi everyone. I highly recommend the Royal Vauxhall Tavern on a Tesday night when Wotever happens. The atmosphere is wonderful cause everyone is there to simply be whoever and wotever they are, without being judged at all. There is total freedom and the only Wotever rule is non discrimination. So it's open to all kinds of people, trans included. I felt totally accepted and not one bit judged as an androgynous performer who wears tons of make-up, fishnets and high heels. Again, the atmosphere on a Tuesday is special and my experience there as a human being and as a performer was really unique and enriching. Plase visit it and you'll see for yourelves! Bar Wotever on a Tuesday is a great free night with amazing performances. It's always different, a diverse crowd every time, always some of every age group. Old and young mingle in a way that does not seem to happen anywhere else I go. An inclusive space for queers and allies. I am a regular visitor to the Tuesday night Bar Wotever, this is a fun and relaxed space where you can enjoy a drink with friends or meet new people. This is a night full of exciting and creative people who are all for getting up and trying something new. There is always something interesting to see on stage for the performance part of the night, where many fellow Wotever folk have performed. You can also have a DJ slot for the evening if it's something you'd like to try! Bar Wotever - on Tuesdays plus they do extra lovely awesome nights. If you haven't been, it's a must. Queerest place in London plus many talented artists and performers, there's a whole range of subjects to be explored. Friendliest crowd in London, if you go alone you will leave with many friends. Dj's are also superb. Nothing is better than ending your weekend with the Dame Edna experience. Loads of great looking guys singing show tunes. Dame Edna is fantastic and the show changes every week so he never gets boring or predictable. So I just keep going back. Sunday is very busy, but the crowd is well mannered and friendly. 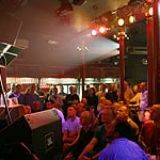 Probably London’s best-known alternative gay venue, the historic Royal Vauxhall Tavern plays host to comedy, cabaret, jazz, gay, bingo and club nights seven days a week. This ought to be a must-do on every party boy’s list. Just over the road from Vauxhall tube station on Kennington Lane, it’s hard to miss the round-edged, red-painted Royal Vauxhall Tavern. It’s pretty easy to find, standing proud at the end of the road in a path of grassland just by South Lambeth Road. It looks like a relic from a different era hidden away behind the modern buildings that adorn the Vauxhall Bridge, but once inside the venue that introduced Lily Savage to the world you’ll be happy to see modern sound and light systems were brought in a couple of years ago to give the old place a fresh and younger feel. The Royal Vauxhall Tavern has long been the retreat of choice for gay Londoners who feel they’ve outgrown the twinkly clubs of Soho but still want to go out and have a good time. That means you’ll see quite a few beardy thirty-something ‘alternative’ gay men (and a few of their straight friends), trying quite consciously to be a little uncool. The punters here can enjoy anything from live music to some hilarious comedy nights, as well as meeting the venue’s homegrown stars such as Amy Lame or the Dame Edna Experience. For nearly fifteen years, Saturday night at the Royal Vauxhall Tavern has played host to their infamous club night, Duckie, which continues to go from strength to strength. The venue has survived numerous attempts by developers to take over the site and build a shopping centre, which has served to increase the loyalty of the regulars. They also take part in regular fundraising for gay charities in the local community. There’s a distinctly retro vibe to the music policy at the RVT, with a fine selection of indie, glam rock and Eighties electro pop dominating the club nights. At other times, you might catch a drag artist performing the standards, or aspiring pop stars strutting their stuff before they make it big, along with the enduringly popular Readers Wives Fan Club playing regular sets every weekends. If you’re fussy about the kind of music or entertainment on offer, it’s worth paying a visit to the Royal Vauxhall Tavern’s website for a calendar of upcoming events. Compared to the nearby Vauxhall superclubs or gay bars in Soho, the drinks prices at the RVT are refreshingly reasonable. The bar staff are friendly (even flirty, if you play your cards right), and efficient so long as you’re not asking for anything too complicated. More a bottle of beer venue than a cocktail bar. This word is thrown about too freely, but the Royal Vauxhall Tavern really is an institution on the London scene. Ditch the fake tan and muscle Marys for the night, and head out to enjoy a fun gay venue that’s not all about posing.